Cornelia Elbrecht works in private practice and provides a certified training program in art therapy. Cornelia's training courses and workshops take place at Claerwen Retreat in Apollo Bay, Victoria, and in several other cities in Australia. She also teaches internationally. The training program is designed for those who wish to integrate art therapy skills into their work. The Initiatic Art Therapy Training Program comprises a series of eight weekends over the period of two years. The aim of the course is to enable its participants to integrate art therapy approaches into the existing framework of their current practice, be it as a counselor, social worker, teacher, nurse, artist or psychologist. The focus will be on the experience of ongoing group work with art therapy in an environment suitable for personal development. At the same time the approaches and techniques will be made transparent in order to make it possible to acquire profound techniques of working with visual arts in a therapeutic way. The total of 144 group hours will include experiential workshops, seminars, co-counselling and supervision. Graduates can register with AON Insurance for Professional Indemnity Cover as Initiatic Art Therapists. The Clay Field is a flat wooden box that holds 10-15 kg of clay. A bowl of water is supplied. This simple setting offers a symbolic "world" for the hands to explore. In their ability or inability to "handle" the material they tell the client's life story. The hands then can be encouraged to find ways to deal with situations and events, to complete actions that previously could not be coped with. This unique art therapy approach is part of the curriculum in schools for disabled and disadvantaged children in Europe; it is widely used in women's shelters, refugee centres and to facilitate trauma healing. In order to receive the certificate all four weekends have to be attended. Part II: Work at the Clay Field with Children. This is a unique opportunity for arts therapists and other mental health professionals to learn about Trauma Healing at the Clay Field in an intensive four-week long training program of two weeks duration each in 2019 and 2020. Part I focuses on working with adults, and Part II on Clay Field Therapy with children. The second part of the Certificate Course will be offered in July-August 2019. The second in July-August 2020. The venue will be in Lanehead, East of Lake, Coniston, Cumbria and offer the option of a study-holiday experience for professional and personal development. It is not necessary to have completed Part I in order to enrol for Part II. This is a unique opportunity for arts therapists and other mental health professionals to learn about Trauma Healing at the Clay Field in an intensive four-week long training program of two weeks duration each in 2020 and 2021. Especially those from overseas prefer the structure of an intensive training rather than coming for many individual weekends. Part I focuses on working with adults, and Part II on Clay Field Therapy with children. The second part of the Certificate Course will be offered in January 2021. The venue will be at Claerwen Retreat, a secluded 400acre resort along the famous Great Ocean Road in Australia. This is a study-beach-holiday experience for professional and personal development. January is the height of summer in Australia. The weekend will be designed according to the needs of the participating arts therapists. Themes may concern how can we use our own tools to reflect on client's needs, the supervise's concerns and issues arising at the workplace. Exercises will include in-depth understanding of the therapeutic use of art materials, art based reflection of the client-therapist relationship, problem solving through visual media, and exercises to manage overwhelm and vicarious trauma. Mandala in Sanskrit translates as 'circle'. For thousands of years peoples have created mandalas for rituals and worship. C. G. Jung speaks about the process of 'circumambulatio' as the walking around a centre that as such has no form and no name, because it touches on a non-physical dimension. Mandalas can connect us with our transpersonal Self; as such they are a tremendous healing tool, capable to transform ego's centricity and fragility into wholeness and awaken the spirit within. The Certificate in Initiatic Art Therapy is part of a Diploma in Sensorimotor Art Therapy, which takes four years to complete. 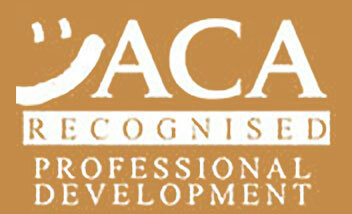 Each certificate is valid as recognised professional development. It is not necessary and advisable for every student to complete the 4 years. Year 1 and 2: Certificate in Initiatic Art Therapy. Depending on prior qualifications and documented art therapy practice, graduates can apply for Affiliate Membership with ANZACATA, The Australian, New Zealand and Asian Creative Arts Therapies Association. Completion of all 8 weekends enables participants to apply with AON Insurance for Professional Indemnity Cover as an Initiatic Art Therapist. 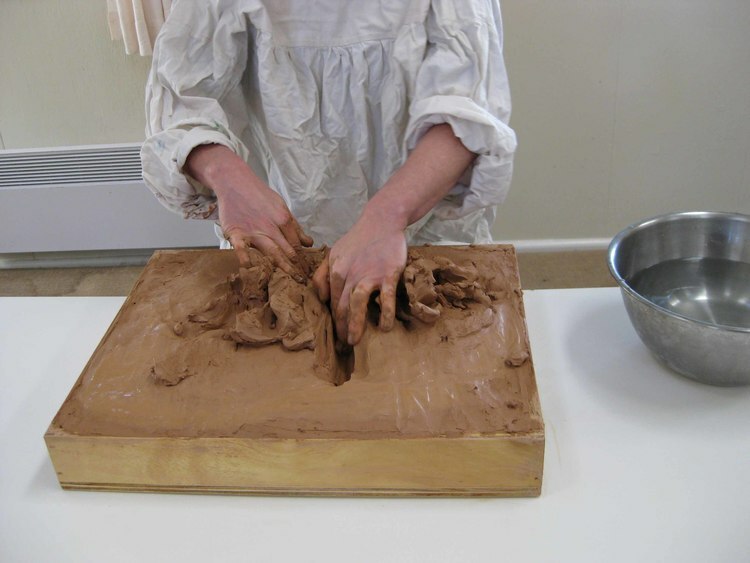 Year 3: Certificate in Clay Field Therapy. Four training weekends. For those with a MA in Art Therapy, who have not done the 2-year Initiatic Art Therapy Training, two additional introductory weekend workshops are necessary. Year 4: Diploma in Sensorimotor Art Therapy. Four training weekends of Clay Field Therapy as assistants, working under supervision; plus facilitating 60 individual clay field sessions, videoed and presented for supervision. Depending on prior qualifications and documented art therapy practice, graduates can apply for Affiliate Membership with ANZACATA, The Australian, New Zealand and Asian Creative Arts Therapies Association.